Today, in the age of intensive information flows, foreign policy is performed not only by efforts of diplomats, professional officials, counselors of state - its drawing in many aspects is created thanks to activity of public figures, so-called "leaders of opinions", first of all representatives of culture. When we speak about so-called "soft power", first of all we imply force of emotional, warmheart impact - through art, beauty, image. And this impact is determining. On January 28, 2018 the unofficial delegation from Russia visited the Kingdom of Bahrain by personal invitation of His Majesty of the King of Bahrain - Hamad bin Isa bin Salman Al Khalifa. It is very remarkable that this visit took place on a birthday of His Majesty when He received honered guests in His palace from different countries if the world. 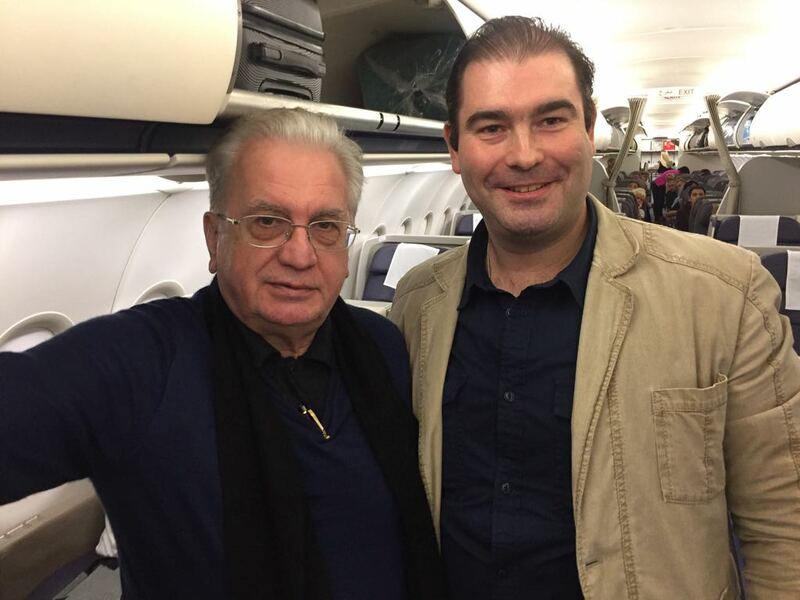 As a part of delegation from Russia there were only three persons: The honorary member of the Board of trustees of the International diplomatic club "Amicability", the famous Russian artist, the Corresponding member of the Russian Academy of Arts, the National artist of the Chechen Republic, the National artist of the Republic of Ingushetia, the Honored artist of Dagestan Alexander Shilov Jr. together with whom the country was visited by the Soviet and Russian historian-orientalist, the arabist, the specialist in Islamic studies, the organizer of museum craft, the doctor of historical sciences, professor, the director of the State museum Hermitage, the Member of Presidium of the Russian Academy of Sciences, the President of the Union of the museums of Russia Mikhail Borisovich Piotrovsky and the public figure, the President of MDK "Amicability" Sergey Dvoryanov. The Russian delegation presented as a gift to His Majesty a gift - the six-figured picture painted by oil - works of a brush of Alexander Shilov. The artist gave to this monumental work of art made on a canvas 1.8 meter high corresponding epic name: "The joint generations" (United generations). 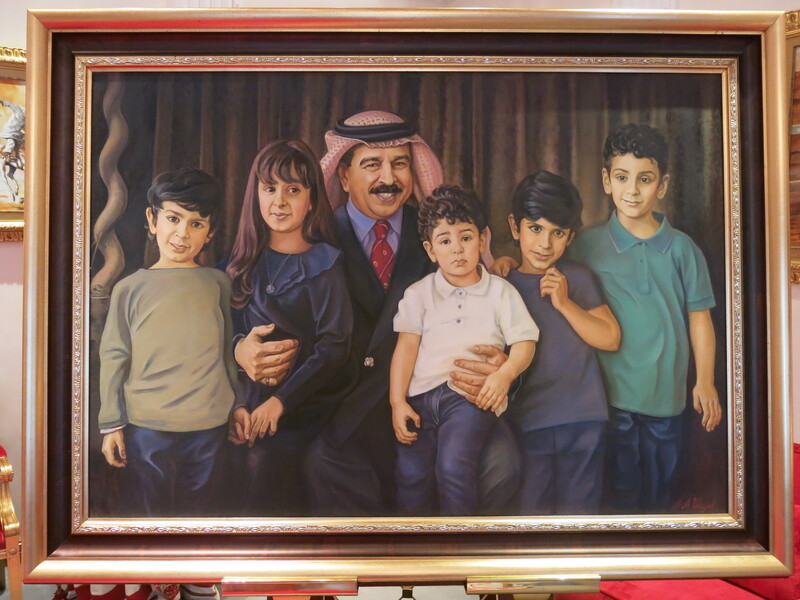 In a picture His Majesty the King of Bahrain is represented together with four grandsons and a granddaughter whom he hotly hugs, and this personal penetrating gesture shows communication between generations. The artist Alexander Shilov Jr. was scrupulously working on this picture for 6 months, trying to transfer the atmosphere of love in royal family. According to the artist himself for him this work on this picture became a new milestone of his creative formation. "All that matter is that in the history of arts six-figured portraits it is the absolutely rare and exclusive phenomenon, - the artist sincerely shared with us, - When the Ambassador extraordinary and plenipotentiary of the Kingdom of Bahrain in Russia doctor Ahmed Al-Saati - with the offer to write the King's portrait with grandsons addressed me, firstly I refused as I've considered this art mission for myself hardly executable. Everyone knows me as artist-landscape writer, my mission - is reflecting nature's beauty. However gradually I was entirely involved in process. On this picture the King, four his grandsons and one granddaughter are represented. Each of the children has his own unique image created. 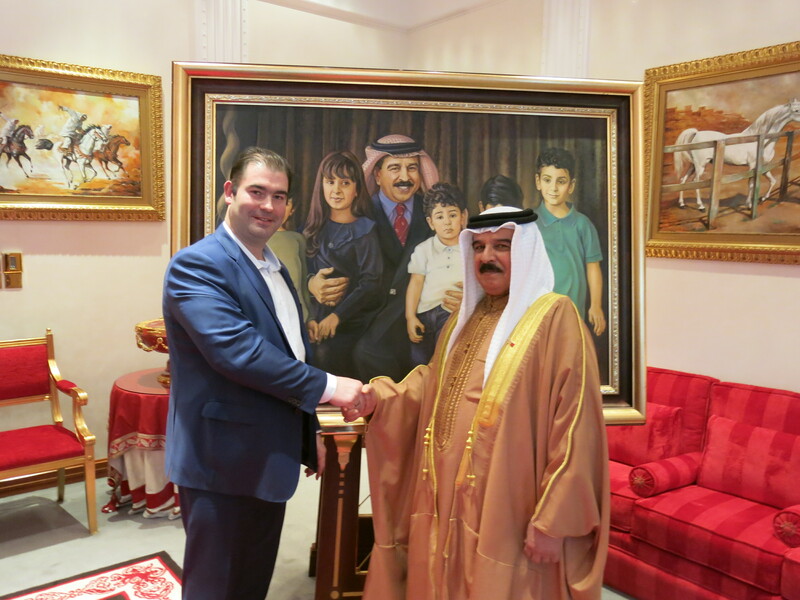 I decided to give the name to this portrait "The joint generations" because the gesture of love and attention with which the King unites the grandsons and the granddaughter - is the gesture of consolidation, symbolical Relay of Love …"
The king of Bahrain Hamad bin Isa bin Salman Al Khalifa was utterly grateful to the Russian artist for this unique gift and suggested it to hold his personal exhibition in Manama, the capital of the Kingdom of Bahrain. The artist Alexander Shilov Jr. was also hotly congratulated by professor Mikhail Borisovich Piatrovsky who noted the high art value of his multifigured portrait and wished him further creative gains, both in the field of a nature-portraiting, and in the field of a portrait-creating and also new bright achievements on the field of national diplomacy, in implementation of intercivilization dialogue through culture. On December 5, 2017 in St. Petersburg, in the State Hermitage the exhibition "In the Country of Dilmun where Sun ascends..." was organized by the State museum Hermitage, together with Management for culture and antiquities of Bahrain and the National museum of Bahrain opened. 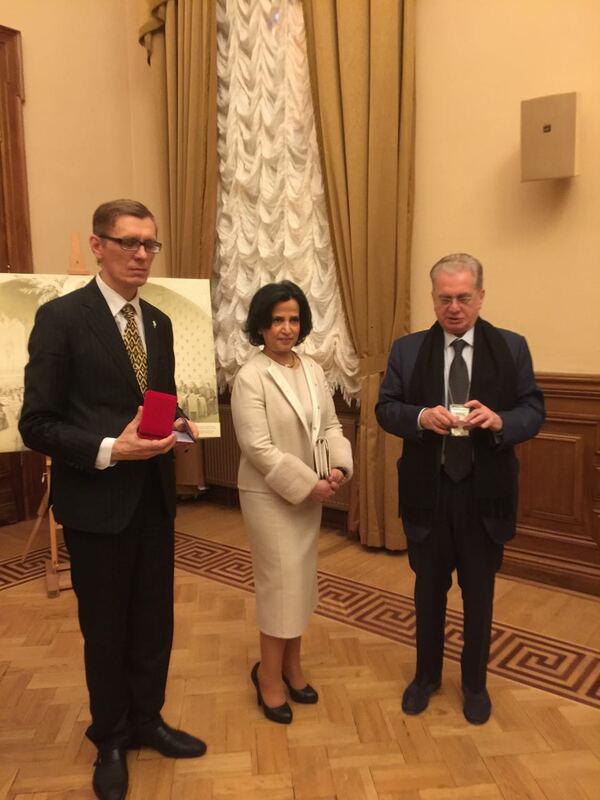 President of MDK "Amicability" Sergey Dvoryanov as the honored guest was present at the opening of exhibition and together with the director of the State Hermitage Boris Mikhaylovich Piotrovsky was awarding His Excellency Mai Bint Mohammed Al Khalifa, the president of Bahraini management on culture and antiquities, the Chairman of the board of the Arab regional center of the world heritage (ARC-WH) with a public award – a gold Star "For service to art". 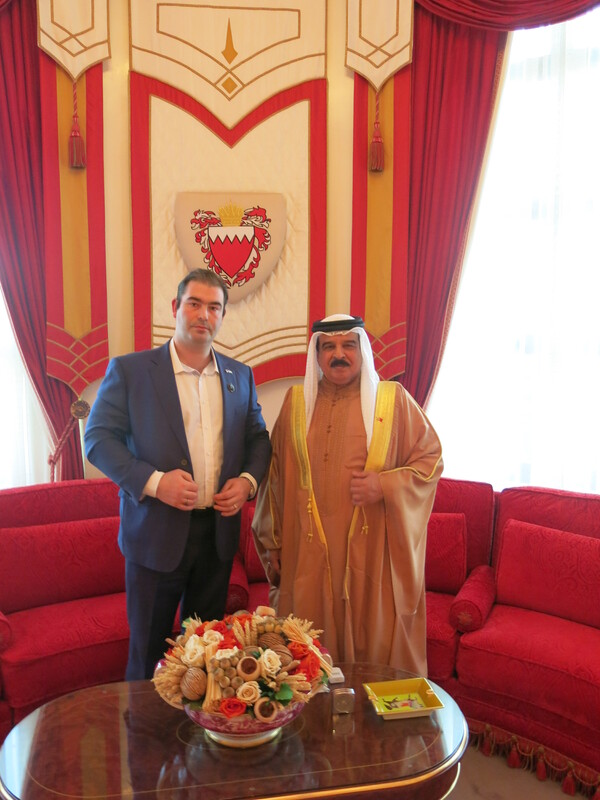 The artist Alexander Shilov Jr. and the President of MDK "Amicability" Sergey Dvoryanov during the visit to the Kingdom of Bahrain in addition to the Royal palace went to the central mosque in Manama, the capital of the Kingdom – Ahmed Al Fateh Islamic Centre. Also with a friendly visit they visited an art studio of Abbas Al-Mosavi. Alexander Shilov Jr. and Sergey Dvoryanov in Gallery of arts of Zurab Tsereteli was present on November 20, 2017 at quality of the guest of honor at opening of the personal exhibition of works Abbas Al-Mosavi organized by Embassy of the Kingdom of Bahrain in Moscow. 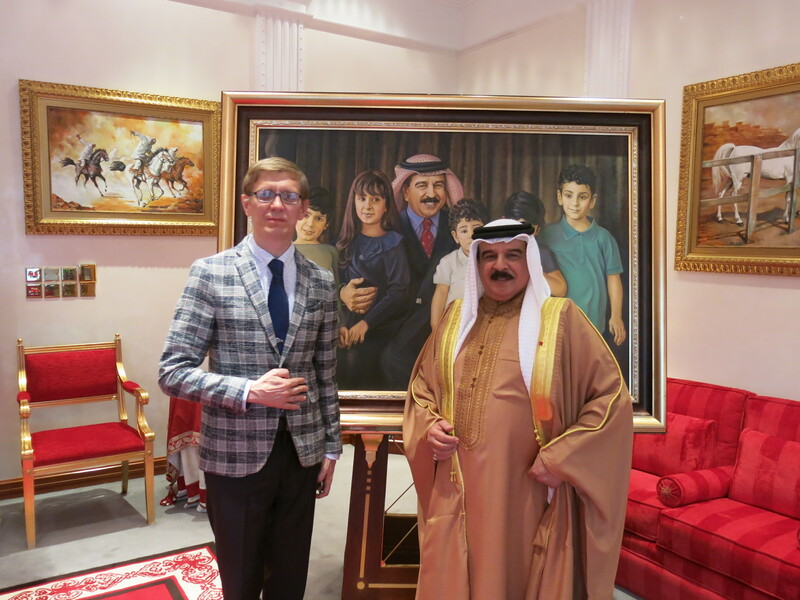 Now, in the atmosphere of friendship and trust, members of the Russian delegation visited the masterful Bahraini artist where they planned a number of joint projects, including a joint master class of two artists – Alexander Shilov Jr. and Abbas Al-Mosavi at the Red Square – in support of peace in the Middle East and on all planet. At the airport of Manama, the capital of the Kingdom of Bahrain the delegation from Russia was departured by the Ambassador extraordinary and plenipotentiary of Russia in the Kingdom of Bahrain Vagif Mamedveli Oglou Garayev who expressed gratitude to all to members of delegation for their active civic stand shown in strengthening of friendship between the people and implementation of large-scale cultural dialogue.